i'm new in this forum, i have read rules and i hope i'm in the right place. 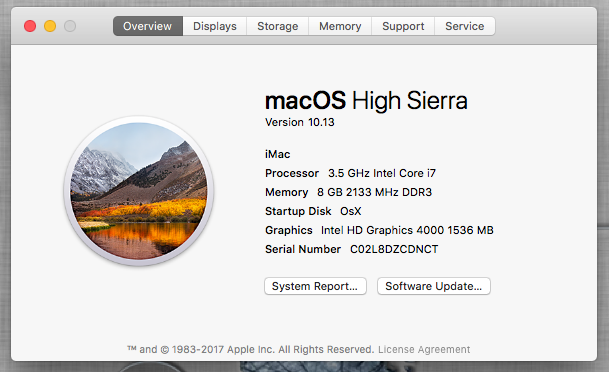 I have installer High Sierre 10.13 (17A405) on my PC, Intel i7 3770K, 8Gb of Memory, SSD 60Gb, MSI Z77 Gaming. then i installed AppleIntelFramebufferCapri.kext (i download form internet but i didn't remember where) and i have Intel HD 4000 1536mb. i have 17" monitor with only VGA port (1440x900) so i use HMDI to VGA Adaptor, i have also 15" monitor with DVI port (1024x768) connect with DVI cable. so there are some flickering and i can't use adobe premiere or final cut or any 3D software. Hi and welcome to osx86.net! Hi and thank you very much for your reply, i will try this config.plist and back to you after. i revert AppleIntelFramebufferCapri.kext and used your config.plist but i still have the same result. i've attached pictures. when i don't use AppleIntelFramebufferCapri.kext i saw no kext loaded in graphics display but i have the same flickering and not full acceleration. what else can i try please. 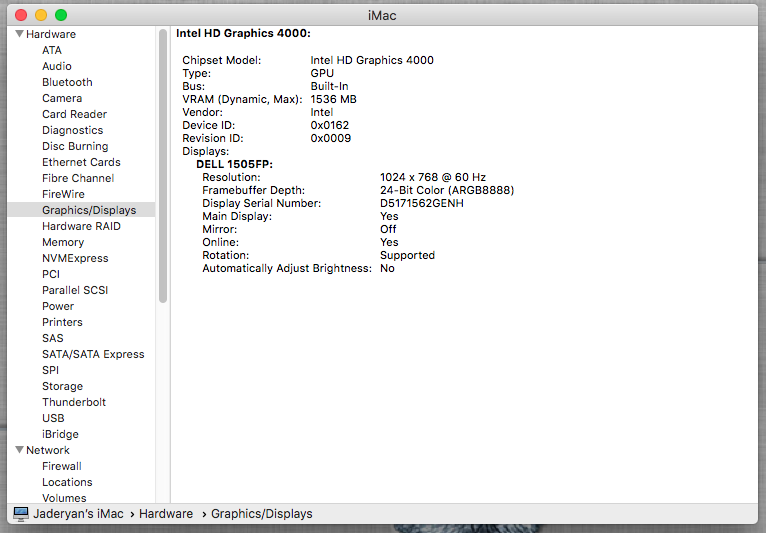 And looking at your screenshots your graphic card seems recognized by the system. Anyways, use my config.plist and try some other ig-platform-ids, like this one > config.plist. Simply change them with Clover configurator. hi, i'm sorry i found AppleIntelFramebufferCapri.kext﻿ and puted it back, i tried your new config.plist, i changed bios gpu vram to 32 64 128 256 but nothing changed. i have slow animation with launchpad, i can't use 3d application, i can't use adobe premiere or final cut. i can't use chrome but only safari with slow animation where there is flash plugin. i don't what else to do, please do you any suggestions?